Springtime means it’s time to take advantage of all the outdoor activities available in Upstate NY, and more specifically… the Capital Region! We’ve made it through another Upstate winter (even if this year was extremely mild), and spring is finally upon us. As the temperatures start to rise, the grass gets a greener and flowers start to bloom; it’s a beautiful time to get out and explore the region! There is so much to do here, even on those rainy days. Keep reading to discover all that the Capital Region has to offer this season. Upstate New York is a haven for those who love to hike! The Capital Region is rich with trails, nature preserves, waterfalls, and we’re only a short drive to the Adirondacks, Berkshires and Catskill Mountains. Whether you’re a novice hiker or a pro mountain climber, there are many trails for all experience levels. If you’re a beginner looking to connect with the wilderness, check out local preserves and sanctuary groups that offer group outings. If you’re an experience hiker, there are many meetup groups to connect you with other experienced hikers. Looking to get involved in group outings? Check out Adirondack Mountain Club (ADK). 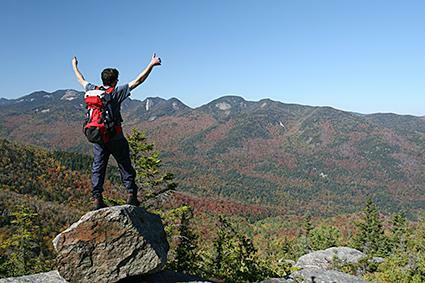 ADK offers outings for all hikers ranging from experienced to novice. Click here for a list of trails in and around the Capital Region. Have a day to explore? Well you’re in luck! 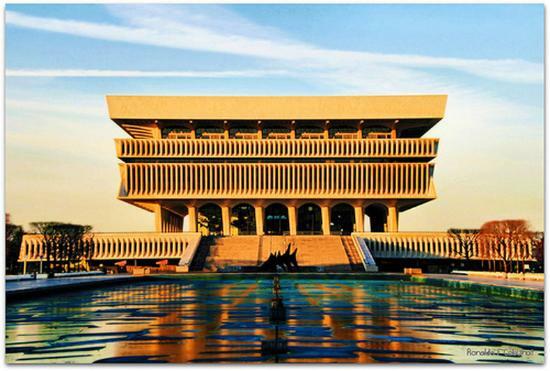 The Capital Region is chock full of rich architecture. Many of the structures in the region, such as state buildings and churches, are a wonderful display of the history of our region. What’s the best part about this kind of sightseeing? You don’t need any knowledge of architecture to admire and appreciate the grandeur of many buildings and structures throughout the region. Connect with the Hudson Mohawk Industrial Gateway for a tour of historic downtown Troy, including checking out the collection of Tiffany windows throughout the city. 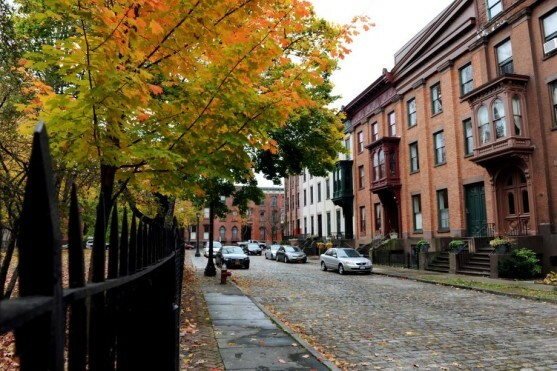 Or head over to Schenectady’s Stockade Neighborhood, NYS’s first historic district, to tour the unique collection of 17th, 18th, 19th and early 20th century homes, businesses and churches. Have you checked out the million dollar staircase or faces etched into the walls of NYS’s Capitol Building? They offer daily tours! Be sure to stop into Albany’s Visitors Center for a walking tour guide that showcases the rich history of the city too! Springtime means rainy days are coming, but don’t worry, there are plenty of things to do here on the not so great days. Being so rich in history, the Capital Region has many museums to enjoy. The New York State Museum is located in the heart of Albany, and is situated on the south end of the Empire State Plaza. Just a few blocks away is the Albany Institute of History and Art. Head downtown and you’ll find the Irish American Heritage Museum. Looking for outside of Albany? Here is a full list of museums located in or around Saratoga Springs. Schenectady is home to the Museum of Innovation and Science, along with the Empire State Aerosciences Museum. Still looking for more? MASS MoCA, is one of the largest centers for contemporary visual and performing art in the U.S., located in North Adams, MA, only about an hour drive. For more museums in the Berkshires, click here. Now that being outside is bearable, where better to spend an afternoon than at one of our many local parks? Washington Park is Albany’s scaled down version of NYC’s Central Park. Located right in the middle of the city, Washington Park is home to over 100 species of trees, a pond (also home to many local ducks), a playground, dog park, and a lake house amphitheater! Being just a block away from Lark Street, you can grab some food and have a nice little picnic for yourself. Each of the 4 cities that make up the Capital Region (Albany, Troy, Saratoga, Schenectady) have parks large and small for all to enjoy. In Troy, Frear Park is a 247-acre expanse featuring an 18 hole golf course, ice rink, tennis courts, playground and a nature trail. 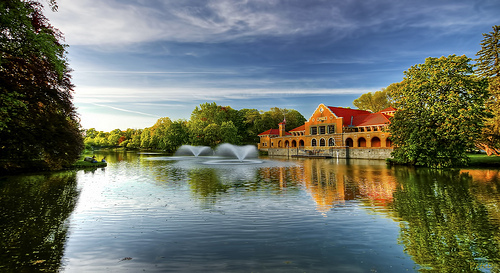 Saratoga is home to Congress Park, which features 17 acres of green grass, gardens, fountains, springs and even a wooden carousel. Schenectady is known for its own Central Park, home of the New York Buzz, World Team Tennis and a 2,400 seat tennis complex. The park also boasts 16 other tennis courts, basketball courts, picnic areas, a performance stage that hosts a summer concert series (more info on that in our next newsletter), swimming pools, and a spectacular rose garden. There are also many state parks in our area to enjoy. Have a picnic, take a walk, bike ride, roller blade, run.. there’s plenty to do to get out and enjoy the weather! Click here for a list of the Albany Times Union’s favorite parks in the area. Be sure to send us your pictures enjoying the region!